Diamond Essence Flash Sale. Get 35% Extra Discount With Promotion Code "CW35". 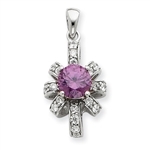 Diamond Essence Flash Sale allows you to get popular in stock faux gemstone jewelry on sale at a huge discount. Get 35% Extra Discount With Promotion Code "CW35"